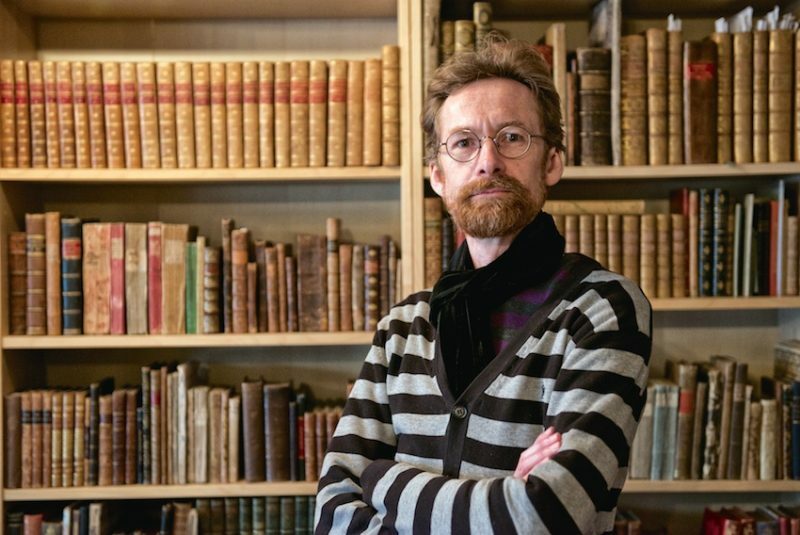 Faversham Life talks to antiquarian book dealer, Justin Croft. Behind a discreet façade in West Street is to be found Justin Croft, an internationally-renowned antiquarian bookseller. A scholarly character, he deals mainly in books from the period before 1850 and has appeared on the BBC’s Antiques Roadshow since 2006. If you scroll through Justin’s catalogue I guarantee that you will quickly become entranced, such is the range of subjects and books on offer. From the occult to social sciences to religion to gastronomy, there is something for every taste. In addition, he tries always to stock a selection of books on Faversham, for instance Edward Jacob’s History of Faversham, published in 1774. He sends out eight new catalogues by email each year devoted to a particular theme, as well as some beautifully-designed printed catalogues. 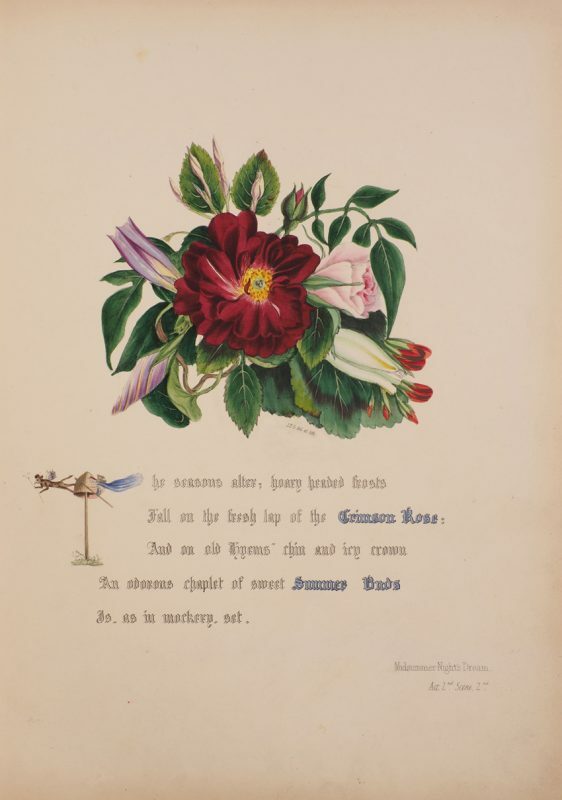 Illustration by Jane Elizabeth Giraud, Flowers of Shakspeare, 1845. To illustrate his point Justin showed me a delightful late 18th century book, Miscellaneous Antiquities by Gervase Clifford. 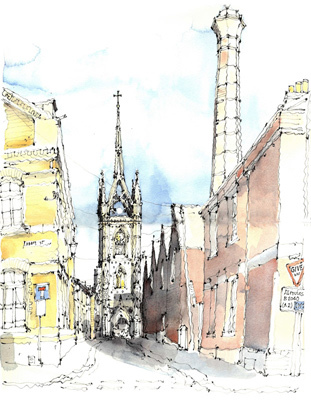 Lovingly compiled, it depicts more than 1,000 historic individuals or monuments, each with a watercolour and illuminated text executed in quasi-historical style to evoke original manuscripts. 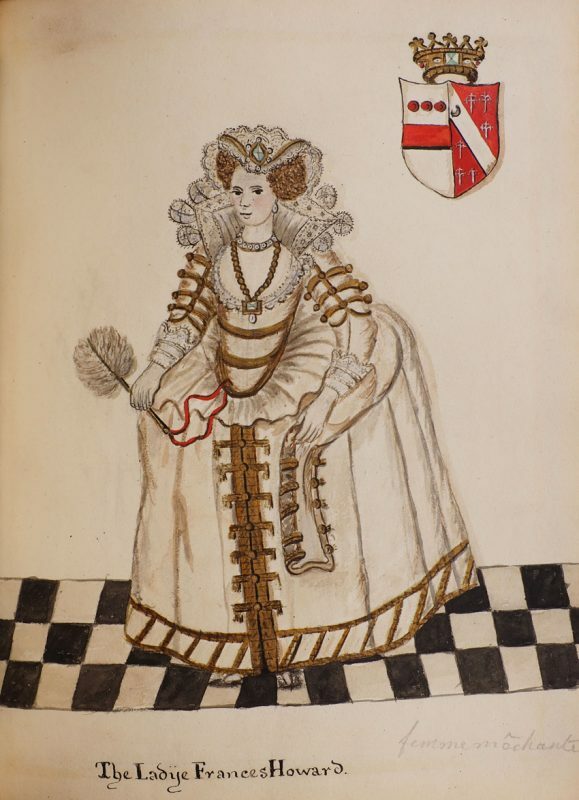 Each page is painstakingly embellished with a different hand-painted border incorporating a variety of insects, leaves, fruit and flowers as well as armorial devices, seals and frames. It is a charmingly eccentric book, vividly conjuring up the 18th century zest for antiquarianism. A hand drawn illustration from Miscellaneous Antiquities by Gervase Clifford. Another item is a handwritten record of auction purchases by a Rev Newcomb from a Newmarket auctioneer in 1815 listing sundry items – garden furniture, kitchen implements, glasses and even a parrot cage (5s6d). 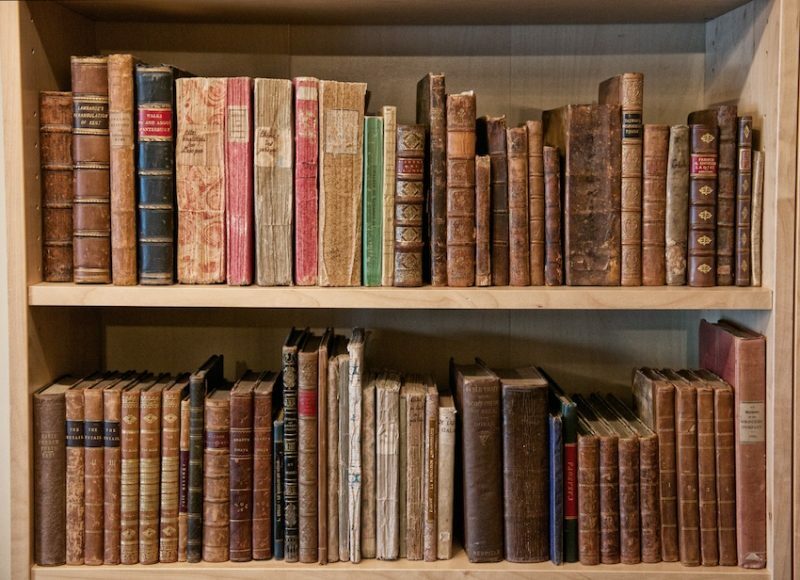 I was curious to learn how Justin became an antiquarian book dealer. After studying history and archaeology at Bangor University, he worked as a porter at Phillips, the auctioneers in London. ‘It was fantastic experience. I did stints in all the departments but was drawn to the book department as it was somewhat subversive and eccentric. Next I did an MA at Kent University in Medieval Tudor Studies as I wanted to get into archive primary sources.’ This was followed by a PhD in medieval manuscript culture with specific reference to Kent and the Cinque Ports. 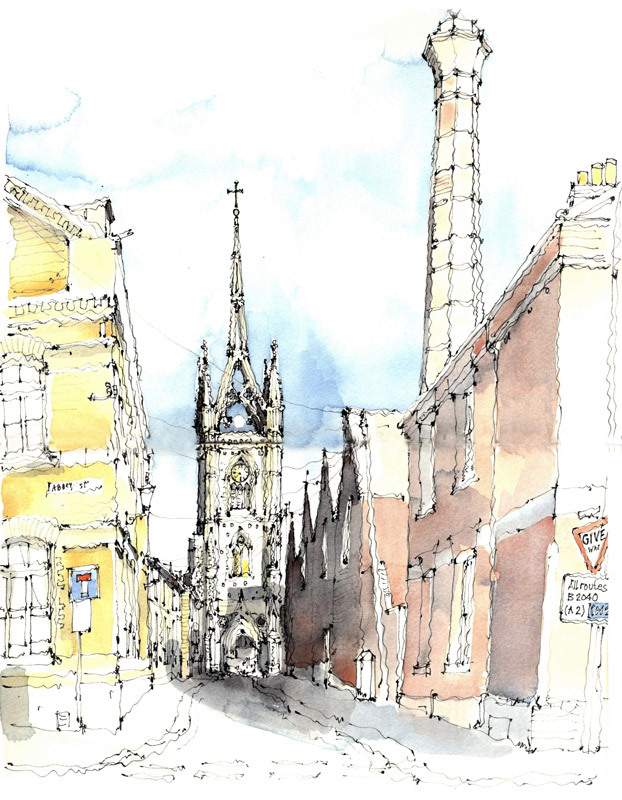 It was the 14th century Custumal (a medieval English document that stipulates the economic, political and social customs of a manor or town) of Faversham that led him to the town. 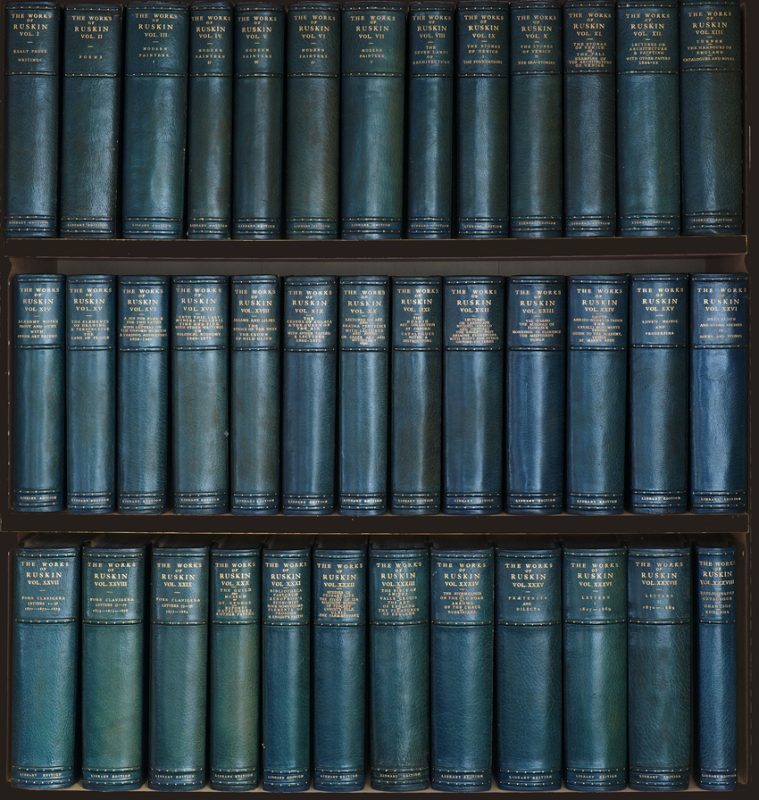 The works of John Ruskin 1903-12, bound in blue morocco. 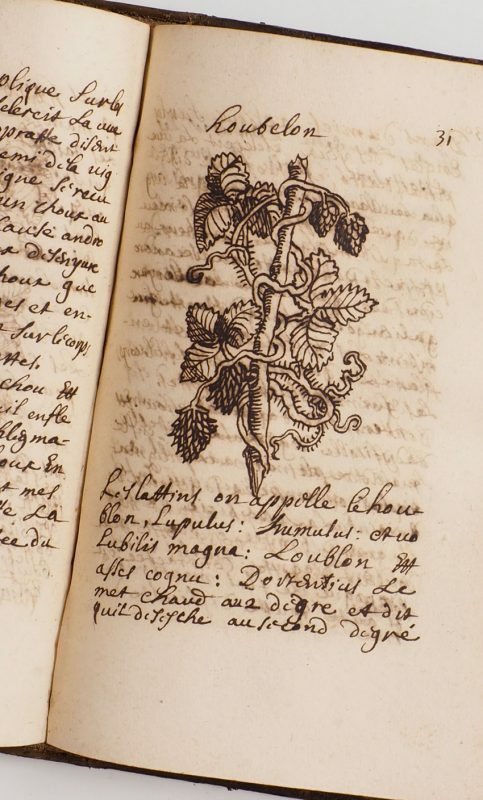 Text: Amicia. Photography: Lisa and Rachel Thapa-Chhetri.